Maternal care was hard to come by in Montana in the early twentieth century, and Dr. Lindeberg’s services were in high demand. For at least one family, she was at the births of three generations: Eleanor Drake Harbaugh, born in 1910; Eleanor’s son Loren, born in 1942; and Loren’s daughter Mianne, born in 1964. In addition to helping happy families grow, Dr. Lindeberg also helped women who found themselves unhappily pregnant, facilitating adoptions and providing safe abortions. Many of Lindeberg’s adoption records were lost, and those that remain appear to have been forged to protect the privacy and reputations of the unwed mothers. Thus, it is impossible to know how many adoptions she facilitated. Marijane Morin discovered that she was one of “Sadie’s babies” when she was sixty-three years old. By that time her adopted parents had died, but she was able to discover the identity of her birth parents by talking to longtime residents of Miles City and looking through old yearbooks. Lindeberg’s own adopted daughters, Hanna Lindeberg Reynolds and Jean Lindeberg Stenken, were more typical in that they never knew anything about the circumstances of their births. Lindeberg is perhaps best (and most controversially) remembered as “one of the state’s leading abortionists.” Abortion was illegal in Montana from the territorial period until the U.S. Supreme Court voided anti-abortion statutes in 1973. Nonetheless, all Montana’s major towns had professional abortionists, many of whom were physicians. Before 1973, some women experienced dangerous “back-alley” procedures—but others found their way to physicians like Dr. Lindeberg, whose reputation for safety and discretion became widespread. Like many abortionists in the period, Lindeberg was never prosecuted for her actions, and the open secret of Lindeberg’s abortion practice did not seem to tarnish her reputation. 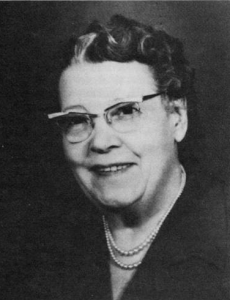 She was honored as the Miles City Business and Professional Club’s Woman of the Year in 1953, by the Montana Medical Association in 1957, and by the American Medical Association in 1960. Interested in learning more? 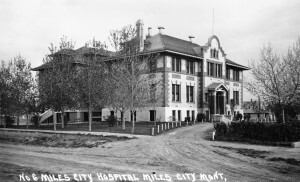 Read Mary Melcher’s article, “‘Women’s Matters’: Birth Control, Prenatal Care, and Childbirth in Rural Montana, 1910-1940” in Montana The Magazine of Western History 41, no. 2 (Spring 1991), 47-56. You can find links to the full text of all Montana The Magazine of Western History articles relating to women’s history here. Dunbar, Anna. Interview by Diane Sands. OH 164-01, Illegal Abortion in Montana Oral History Project, K. Ross Toole Archives, Maureen and Mike Mansfield Library, University of Montana, Missoula. Gudmunson, Pat. “Counts Babies, Not Birthdays.” Billings Gazette, April 19, 1964, 6. Hill, Jennifer J. “Midwives in Montana: Historically Informed Political Activism.” Ph.D. diss., Montana State University, 2013. Jones, Helen Carey, comp. Custer County Area History: As We Recall. Dallas: Curtis Media Corporation, 1990. LaBoe, Barbara. “A Mother’s Day Story: Roadmap to Her Roots.” Montana Standard, May 10, 2003. Accessed April 22, 2104. Melcher, Mary. “‘Women’s Matters’: Birth Control, Prenatal Care, and Childbirth in Rural Montana, 1910-1940.” Montana The Magazine of Western History 41, no. 2 (Spring 1991), 47-56. “Sadie Lindeberg, Pioneer Doctor, Dies at Age 84.” Billings Gazette, Feb. 9, 1969, 8. Sands, Diane. “Using Oral History to Chart the Course of Illegal Abortions in Montana.” Frontiers: A Journal of Women Studies 7, no. 1 (1983), 32-37. Stout, Tom, ed. Montana, Its Story and Biography: A History of Aboriginal and Territorial Montana and Three Decades of Statehood. Vol. III. Chicago: American Historical Society, 1921. Winter, Malcolm D., Jr., Malcolm D. Winter, Sr., and Friends. 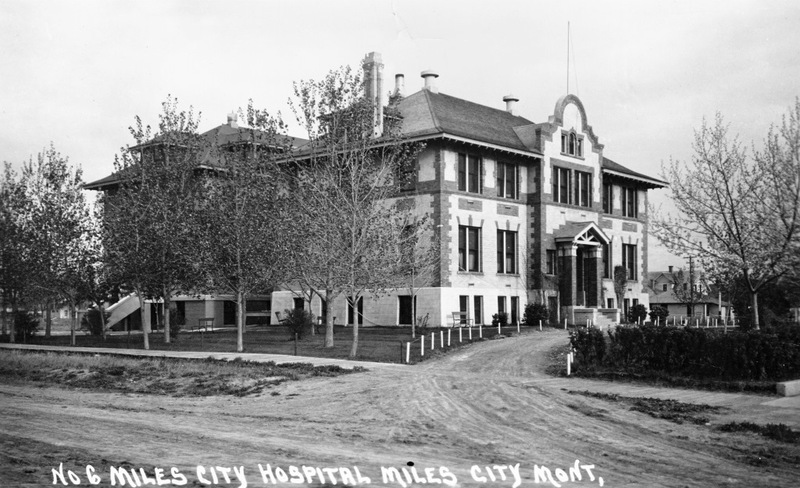 Miles City Medical History, 1876-2005. Miles City, Mont. : Judson H. Flower Jr. Library, 2007. Accessed April 22, 2014. Hello! Sadie Lindeberg was my great grandmother and her daughter was my grandmother. I’ve heard some amazing stories and would love to connect with anyone who has any stories to tell.